Morecambe have signed Bury left-back Joe Widdowson on loan for two months. 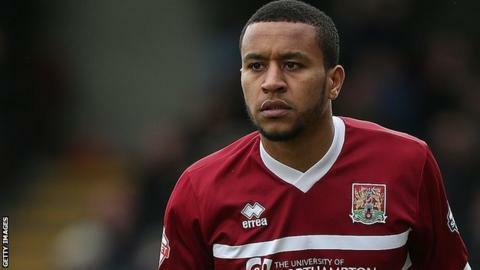 The League Two leaders needed cover in that position after Laurence Wilson suffered a knee injury in a 2-1 victory at Cambridge on 23 August. Widdowson, who joined Bury on a free transfer following his departure from Northampton at the end of last season, has only appeared once for the Shakers. The 25-year-old could make his debut on Saturday as the Shrimps look to extend their 100% league start at Tranmere. "He knows the level, has good experience and ticks a lot of the boxes for what we wanted," manager Jim Bentley told the club website. "Laurence has been excellent since he's returned to the club. We're gutted about his injury. It's a big blow for us and even more so himself."